Boekel Scientific’s new Dry Block Heaters are advanced, configurable, and economical. The easy-to-use interface will simplify most laboratory sample heating procedures. Heating Blocks, also known as dry bath incubators, use aluminum inserts to suit the use of many types of laboratory test tubes, plates, and containers. 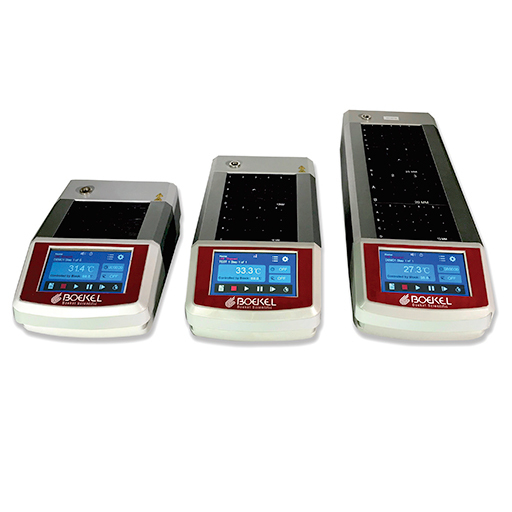 Boekel programmable heating blocks are designed to be used with standard aluminum dry blocks (nominally 3” deep x 3 ¾” wide x 2” high) of varying configurations for heating test tubes, microtubes, and other small vessels. The Programmable Heating Blocks use an advanced touch screen control system to create and store programs. Programs can have a maximum of five different temperature steps and there is a repeat function for thermal cycling procedures. An option external temperature probe is available for spot temperature checking and controlling the unit temperature. Modern laboratories require modern equipment to reduce repetitious procedures and increase accuracy and throughput. 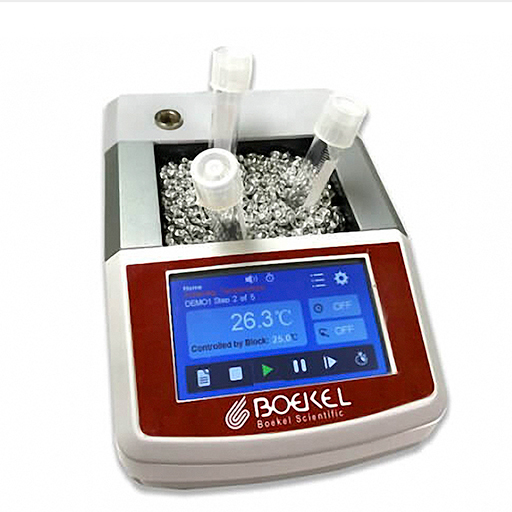 The Boekel Scientific’s programmable heating blocks are designed to accommodate the most basic sample incubation procedures to multi-step heating processes and thermal cycling procedures. The slim One, Two and Four block design allows for more bench space and a configurable work flow. The optional external temperature probe is great for spot checking temperatures or controlling block temperature based on the actual sample temperature. Touch Screen with Alarms, Timers, and Temperature Step Control. Control by block temp or external probe. Store up to 25 separate programs with 5 steps per each program & repeat function. 6" x 8.75" x 3.25"
6" x 12" x 3.25"
6" x 18" x 3.25"